RIDGEFIELD PARK, N.J. – October 3, 2013 –Samsung Electronics America, Inc. announced today the availability of the Samsung Shape™ Wireless Audio Multiroom speaker system (WAM750), enabling music lovers to enjoy tether-free entertainment in any room of the house, from various music sources. The flexible new speaker can be used alone or in combination with the Samsung Hub (WAM250) and additional M7 speakers to create a multi-room system. Easy plug and play installation makes set-up a breeze: simply connect the M7 or optional Samsung Hub to a router, plug in, and download the free app to effortlessly control multiple speakers and audio sources from a smartphone. With the Samsung Hub (WAM250) consumers are able to connect additional M7 speakers in any room of their home while maintaining superior sound quality and eliminating the need to connect any of the speakers to a router. For one-to-one pairing of an M7 to a smartphone, Bluetooth with NFC functionality is also included. The Samsung Shape™ M7 supports dual-band WiFi, which ensures an uninterrupted stream across virtually any device. Additionally, Multi-Channel Mesh Network technology prevents network traffic problems by automatically searching for and finding clear audio data paths. Compatible with a variety of apps including Amazon Cloud Player®, Pandora®, Rhapsody®, TuneIn Radio® and more, the system can be customized to play different music in different rooms, or the same music throughout the home. Customers can also access content from their own library of music whether it is stored on a smartphone, a laptop or a PC. The Samsung Shape M7 offers visual harmony within any room environment. Its unique design affords a wide variety of placement choices allowing it to fit snugly in the corner of the wall as if it were custom-designed for the space. It can also be positioned vertically or horizontally for maximum versatility. Wherever the user decides to put the unit – on a table, on a shelf or hanging on the wall with the optional wall mount kit, the system’s minimalist design and wire-free aesthetics will feel right at home in any décor. The audio is articulated through speaker technology that delivers warm and natural sound color. The Foam Core Woofer, CNT pulp cone mid-range speakers, and silk dome tweeters with advanced speaker enclosures form the perfect combination for delivering deep, precise bass reproduction and crisp, clean mid- and high ranges. Samsung’s Shape Wireless Audio Multiroom system, which includes one M7 speaker, will be available on October 13th at the retail price of $399.99. The Samsung Hub will also be available on October 13th at a retail price of $49.99. 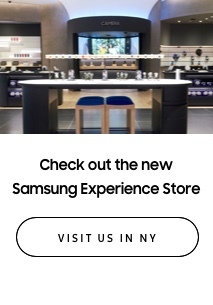 Headquartered in Ridgefield Park, NJ, Samsung Electronics America, Inc. (SEA), is a recognized innovation leader in consumer electronics design and technology. A wholly owned subsidiary of Samsung Electronics Co., Ltd., SEA delivers a broad range of digital consumer electronics, IT and home appliance products. Samsung is the market leader for HDTVs in the U.S and America’s fastest growing home appliance brand. 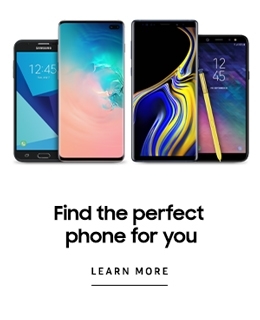 To discover more of the award-winning products you love with Samsung, please visit www.samsung.com.